The new Animal Crossing is letting you choose your skin tone. The new Animal Crossing is letting you choose your skin tone. 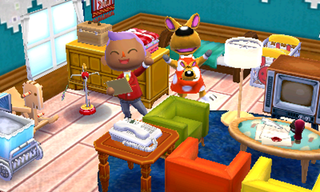 People have been asking for the option for years, and Nintendo’s granting their wish with Animal Crossing: Happy Home Designer. It’s a step in the right direction, albeit a long overdue one. Hopefully it’ll carry over to the next full Animal Crossing game.